Advances in information technology have transformed the way products and services are conceived and marketed to the final customer. Compared to the traditional method where products were created in-house and then released to the market and tested, newer technologies emphasize and support the need for customization and personalization and incorporate data from third party sources to bring an enticing offer to life. 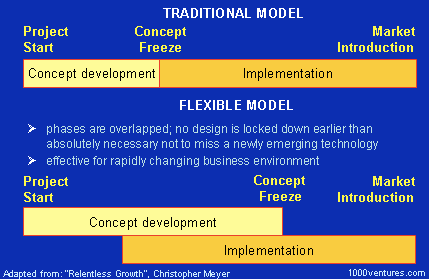 The modern innovation process overlaps the “concept development” phase with the “implementation” and “market introduction” in an attempt to keep the product design fluid and open to the modifications brought about by newer technologies and a rapidly evolving business environment filled with uncertain consumer trends and market demands. Despite living in a shaky business environment, companies are building rich internal digital infrastructures to “turn products into product platforms and provide a foundation for others to build upon”. Among them, Product Lifecycle Management (PLM) and Product Information Management (PIM) are two complementary data management solutions which aggregate product information and encourage the collaboration between business units and teams during the product’s lifecycle. Like PIM, it speeds up the time-to-market for new product introductions in an attempt to preserve and advance the company’s position in the marketplace. PLM also elevates the brand image and improves customer relationships through high-quality product experiences that are informed by real- time customer feedback and product usage data. On the other hand, certain businesses have expressed security concerns, dissatisfaction with single-tenant cloud deployments and difficulties in migrating data from PLM to other systems. Lengthy deployments (and a lot of business process customization), multiple software versions and poor user interfaces generate difficulties in using PLM to its full potential. Organizations would also like to gain more access to the technical ecosystem of business partners to sustain cross-industry collaborations and transform the way in which they create and innovate their current product catalog. Some of the future PLM features, currently in development, will be computer aided engineering (CAE) software, simulation, augmented reality (AR), and virtual reality (VR) functionality that allows customers to test and innovate on physical products before they’re even prototyped and enhance interactions with physical products in the field. Bottom line, PLM is heavily focused on streamlining the product data for the development process while PIM will gather, clean and enrich product information and distribute it across the business and omnichannel with the sole purpose of generating more sales. Both technologies save money, diminish the risk of human errors, incorporate feedback to optimize the product’s design and speed up the time-to-market for new product introduction (NPIs). Download and learn more about PIM Vs MDM Vs PLM.